Drones are quite possibly the best new invention for taking outdoor videos and photos for real estate listings. Before drones, real estate agents would depend on aircraft and expensive photography equipment to get aerial footage. Drones have completely changed the aerial media marketplace. Drones are able to take stunning and mesmerizing videos and photos at a fraction of the cost of using aircraft. With the use of drones, real estate agents are able to take advantage of the 4K-Resolution cameras to film high quality, crystal clear videos to impress potential buyers. The reason why many real estate agents are taking advantage of drones is because they want their listings to stand out. Over 90% of real estate buyers begin their search online, and over 99% of listings feature still photos and images. So as far as real estate agents are concerned, the best way to help their listings stand out is to offer people something they don’t see too often which are videos. With the use of Drone Videos, real estate agents now have the means to offer their clients something unique and special. Unlike ordinary photos, drone videos allow clients to see what properties look like from the air. Additionally, they also allow potential buyers to see the areas surrounding the property such as schools, parks, bus stops and transportation as well as playgrounds, and more. 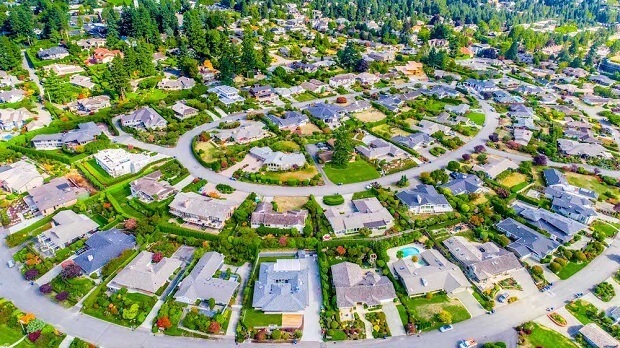 With the advance in Drone technology, property owners really get a lot of bang for their buck when it comes to creating amazing videos and photos. For one, videos and aerial photos filmed by drones are a lot more affordable than aerial photography services of the past. Before drones, real estate agents hired helicopters and low flying aircraft to shoot aerial videos of the properties they were selling. The only problem was that the cost of these services would often reach into the thousands of dollars. With drones, costs are no longer an issue. A fully licensed Drone Operator can offer their clients high quality drone videos for only a couple of hundred dollars. Another benefit offered by drones is their versatility. Unlike most types of aircraft, drones are more maneuverable and can fly lower to the property to get a better perspective. Drones can also enter areas, which are generally inaccessible to helicopters and small commercial aircraft. Also, drones can circle the property and provide a bird’s eye view, both of which are important when highlighting a property for sale. A third benefit is that drone videos are quite engaging. By using a professional editor, the videos can really make the property stand out by highlighting different features of the house such as backyards, gardens, pools, and more. These are benefits that regular ground photos can’t compete with. Unfortunately, just owning a drone is not good enough. There are laws that govern the use of drones including where and how high they can fly. Then once the footage is filmed, it must be edited and color corrected. Once the editing is done, the videos and photos need to be easily accessible to share them online. Most importantly, you need a Drone Operator you can trust. Drone Operators who fly must have a license and have insurance in case something goes wrong. This is where DroneVideos.com comes into play. All of the Drone Operators who fly for DroneVideos.com are fully licensed with their Part 107 to fly commercially. Next, all DroneVideos.com Drone Operators are fully insured with at least $1 million in liability insurance and have passed background checks. Rest assured that when you hire a Drone Operator from DroneVideos.com, they will be experienced and know how to make your listing stand out. Best of all, once the videos are filmed, DroneVideos.com professionally edits, color corrects and puts the videos and photos onto an SEO-Friendly webpage that you can share online as well as social media with one click of a button.